More heartbreaking news following the passing of AMC and OLTL creator and soap icon, Agnes Nixon on Wednesday. Late Thursday afternoon came word that Larkin Malloy, best known for his roles as Travis Montgomery on All My Children, and Schuyler “Sky” Whitney on Edge of Night died of complications from heart surgery he suffered over the weekend. The popular fan favorite died at only 62 years of age. Two of Malloy’s longtime scene partners were the first to share the news and their grief at the passing of their friend and colleague. AMC’s Walt Willey, who played Larkin’s on-screen brother, Jack Montgomery on All My Children, and the one and only Sharon Gabet who played Raven Whitney, Malloy’s on-screen lady love on Edge of Night. As for Malloy’s career he also appeared on Loving and As The World Turns. 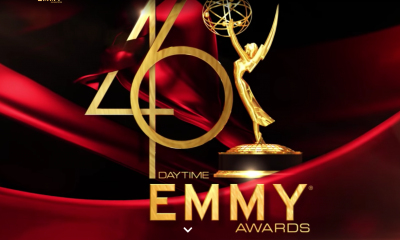 Larkin received a Daytime Emmy nomination for Outstanding Leading Actor in a Drama Series for his role of “Sky on Edge of Night. He was most recently seen in Sonia Blangiardo’s web series, Tainted Dreams. Malloy also worked behind the scenes in daytime television. He directed for Another World and at one point became the on set acting coach at As the World Turns. During his seven years working with actors at ATWT, nine of his actors were nominated for Daytime Emmys. Larkin also taught soap operaa on-camera acting class at the Weist-Barron School, and served on the faculty of The New York Conservatory for the Dramatic Arts. Share your thoughts and condolences on the death of Larkin Malloy and let us know what role do you remember him the most for in the comment section below. Could Justin Hartley Foresee Y&R’s Eric Braeden Guest-Starring On THIS IS US? The Talk To Celebrate CBS Daytime's 30 Years At #1 With Stars From GL, ATWT, Y&R and B&B! RIP Larkin! I remember you from All My Children and you were such a good looking and talented actor! What your friend and fellow actor Walt Whiley said about you was awesome as someone who knew you well…..
I’m in a bad place at the moment because of the passing of Agnes Nixon and now Larkin Malloy. I’ve been binge watching EON on YouTube and have fallen head over heels for Sky Whitney. i always enjoyed him on Edge Of Night as Sky paired with Sharon Gabet’s Raven Alexander Jamison Swift Whitney Whitney and later with Susan Lucci as Travis on AMC…a fine actor who will always be sorely missed!!! Why would you be in a bad place?? I’m sad because of the loss of Agnes Nixon and then Larkin Malloy on top of that. What a coincidence! 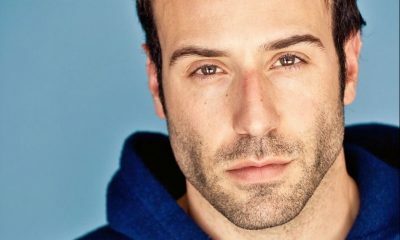 I’ve also been binge-watching EON on YouTube over the past several months, though my “dead guy crush” is on Joel Crothers, who played Dr. Miles Cavanaugh. I need to watch his scenes on Guiding Light again. Can’t believe that was thirty years ago, but it’s still great to watch! @k/kay – yes, I remember that, too. He was crossing the street and was off the show for awhile. It was back before the internet covered everything like they do now, and I bought one of the daytime magazines to see how he was doing. The person who found him got him to a better hospital rather than the nearest one, which helped save him and also his leg, which was broken in the accident. Very sad news, Larkin Mallory was a very talented actor. I am in shock, that he passed away. Larkin was only 62 years old. Loved him on AMC as Travis. Susan Lucci and Larkin Mallory had great chemistry together. May he rest in peace. Why would you be in shock?? Tell ya what, Dylan – No one’s in shock, no one is in a “bad Place” – it’s just great that he’s gone, is THAT what you expect to hear? You must have the heart of a stone. People are just expressing their sorrow over hearing sad news of a well-known soap actor’s passing. When YOU die maybe we’ll all post something that we’re in a “great Place” and that no one at all is in shock. Because Larkin was not old, he was only 62 years old. The soap world lost a very talented actor. John Gordon…please do not presume to know me or my heart. You have no idea what I have been through. I lost my two oldest brothers within a month and a day of each other. A year and a half later, I lost my my mom. In a year and a half I lost half of my immediate family. Thoseare REAL losses. So to hear people whining and caterwauling about the “shocking tragedy” and the “heartbreaking loss” etc of Larkin Malloy ….. Just rings a little psychotic to me. Yes…its sad when anyone dies. I enjoyed his work in soaps too. The people posting this did not know this man. Maybe if people would focus that type of love and attention on their own families and friends….this world would be a better place! I have had the great fortune over the past year of getting to speak with Mr. Malloy over Facebook. He’s as lovely and witty as any of his debonair characters ever were. I remember him best as Jeff Brown AND Sky Whitney on Edge of Night, as well as Kyle Sampson on Guiding Light. It was a great gift getting to know someone I crushed on in my younger years and really respect as an actor now. I am so sad to hear about Larkin. I remember him from the Edge of Night and the few years I watched GL, I loved Kyle & Reva together. What a presence onscreen. RIP Mr. Malloy. I am truly sorry to hear this. He was great as “Travis” and I always rooted for him 🙂 with Erika. Handsome fellow. Seemed like a lovely man. Very sad news. Still young; so sudden from the info shared. I remember him as Travis on AMC. I hadn’t kept up with AMC but I do remember his face…handsome..debonair. Just plain sad news…RIP. He was a beautiful man and evocative of the silent film stars from the 20’s. What a crush I had on Larkin! I wanted to marry that man. I drove many miles to see him in a New Jersey mall. I was thrilled to ask him two questions: How did he land the cover of ALFRED HITCHCOCK? He said a friend photographer recommended him. 2ND question: Would he consider the role of James Bond? He said he would not mind it. He called me a nice lady and I swooned. It took me years to get over the cancellation of THE EDGE OF NIGHT. I was in London at the time and missed the last episodes. Luckily the USA network showed the last year. A lot of the EDGE actors have died. Dr Cavana ugh, Calvin Stoner, the first Sky Whitney, etc. He was a beautiful man. I so loved Larkin as Travis…God Bless him for all that he came to give to this world! He’ll always be Sky Whitney to me. Loved EON and Raven and Sky. Side Note: Shouldn’t there be a R.I.P next to ‘Downton Abbey’ and ‘Revenge’? Sky & Raven were an amazing couple on EDGE OF NIGHT, and that was a fun soap to watch. It was mystery-based and had a very film noir feel to it. I was so disappointed that it was cancelled & wondered if I’d ever see Larkin Malloy again. Fortunately, talent & charisma won out & he was able to create two other memorable roles for daytime fans on GL & AMC. We were very lucky to have so much of him over the years. RIP, Mr. Malloy. I waited years for Kyle to come back to Guiding Light, to no avail. Saddened by news of this passing. I still remember his very brief run on As The World Turns as Dr. Weston. Perhaps somebody can confirm this bit of trivia – didn’t he also appear – unbilled – in the finale of Search for Tomorrow? I think he was a crowd extra in an airport scene in the final episode. Wow 2 legends of daytime in just afew days… just upon the 5th anniversary of the final AMC on ABC. I read this several hours ago and was stunned by the news. I’ve been a fan of Larkin since EON. My respect for him increased over the years – especially after learning of his dedication to providing training for young actors at reasonable rates. Sharing your knowledge and empowering the next generation speaks volumes about his commitment to his craft. He will be missed. My sympathies to those who knew him and the lives he enriched. ‘Travis Montgomery’ was such a convincing character and ‘Larkin Malloy ‘was such a convincing actor. His talents will always live on as we reminisce. I am deeply saddened to hear of this news and sending my condolences to his family, friends and fans. Rest in Peace. What a daytime career he had with the leading ladies who pay tribute to him above. The likes of which isn’t seen in any medium anymore unless they are the veterans like he was. I’ll forever cherish my tapes of EON, AMC & GL with his many wonderful performances; Adventurous, romantic, and often funny, he was like a classic movie star in the way he played these sophisticated characters, like somebody you’d see in black and white on TCM. There’s a special welcome in heaven for him and Agnes Nixon, and I’d like to think that Lois Kibbee, Larry Gates and Ruth Warrick were there to greet them. Lovely man played three prominent roles in Daytime and made each character his own had chemistry with all his leading ladies. You will be missed! I remember him as Kyle Sampson on Guiding Light. I was young then but who can forget Reva seeing Kyle marry Maeve and then she went and jumped off the bridge! But he was a great actor, that is unfortunate. I remember Larkin from The Guiding Light. I remember Larkin Malloy first and foremost as Schuyler Whitney, Geraldine Whitney’s nephew on The Edge of Night. He and Sharon Gabet, as Raven created magic on the tube. As Travis Montgomery on All My Children, he traded barbs with legend Susan Lucci as Erica Kane. Entangled in a love triangle on Guiding Light, his character, Kyle Sampson played the odd man out with Kim Zimmer’s Reva Shayne and her one and only true love Josh Lewis and his portrayer the ruggedly handsome Robert Newman. Thanks for the memories!!!!!! I was wondering where Larkin was in the past few years. Kyle Sampson, Maeve, and Reva were a great triangle on GL. Where has the time gone? Larkin was a great actor and certainly dominated the 70s and 80s in daytime.